Creating an authentic rockabilly sound is all in a day’s work for Mississippi Queen and current album Oh Yeah! Hailing from the land that time forgot where prehistoric dinosaurs once roamed, Croatia’s oldest and quite possibly greatest rockabilly band Mississippi Queen is something to be admired. 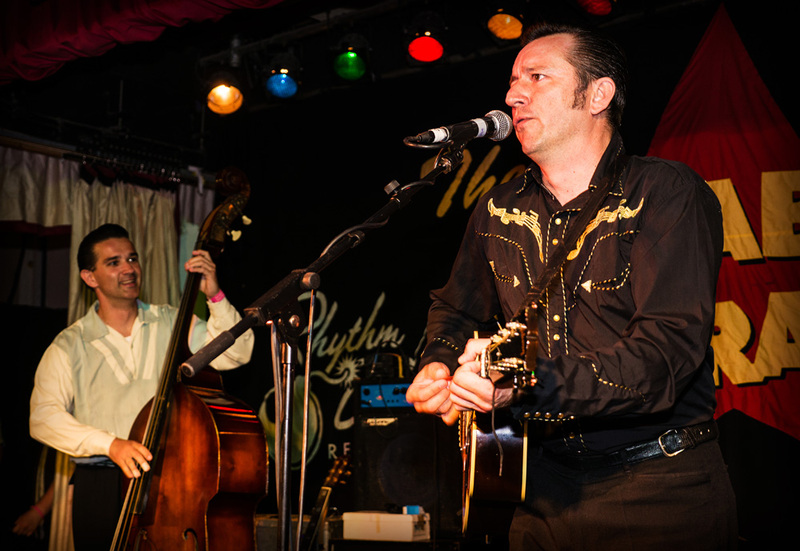 Having survived various changes in personnel since their inception during the late 80s when use of a drummer was deemed out of the question, Mississippi Queen is to be respected for persevering with their pursuit of creating an authentic rockabilly sound, which has stood the test of time after several album releases in their home country. It wasn’t until 2004, however, that Mississippi Queen saw their first ‘official’ album release, ‘Did You Say Love’. It was this album that helped promote the band’s name internationally, along with subsequent release ‘Rockabilly Heaven Bound’ featuring guitar work by then band member Axel Praefcke who is more accustomed to production work these days, that Mississippi Queen saw their stock rise considerably; hence their well-known status in terms of the present rockin’ scene. In fact, it was the latter album and its title track that spawned a huge dancefloor favourite amongst the rockin’ fraternity, which is still to this day refusing to budge from numerous DJ set lists and various rockabilly charts. It was during these two official releases that Mississippi Queen began to earn extra kudos for their work, due to composing the majority of songs themselves rather than relying on the obligatory covers to fill the spaces, albeit affectionately. A bold statement without doubt, but one that is fully justified once the likes of ‘Everybody Have A Ball’, ‘Mississippi Queen’ and ‘Precious Memories’ display a band full of verve, not to mention experience and expertise judging by the fluctuating tempos of further songs ‘On My Way Down’ and ‘Eyes of Blue’. Mississippi Queen has certainly done their homework prior to the making of ‘Oh Yeah!’ as the end results reveal an album nearing a straight A and a band brimming with confidence. 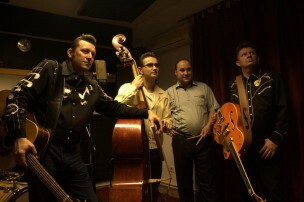 So with the truth established that Mississippi Queen is the “oldest authentic rockabilly band” on their home soil, the band itself, as mentioned earlier, underwent several transformations before establishing their current status with latest album ‘Oh Yeah!’, something of which Karlo Starčević manages to explain. As mentioned earlier, Mississippi Queen started life minus the backing of a drum kit. Such a decision was due to several reasons concerning authenticity of sound, influences impacting on their music and, to a certain degree, number of personnel as Mississippi Queen’s vocalist suggests. With Mississippi Queen developing their sound over quite a number of years, in addition to numerous gigs that has seen the band take to local stages as well as internationally with countries such as Austria, Germany, France, England, Sweden, Spain, Czech Republic, Belgium, Netherlands, Luxembourg, Japan and USA having all been visited, Mississippi Queen has taken the traditional and often well-respected route to musical recognition by taking the time to really learn and hone their craft to the point where this four piece have more than earned their musical stripes through sheer hard graft, but most notably by creating a compelling rockabilly sound. Another important fact is that with the exception of one song – a cover of Clyde Mitchell’s ‘Knock Knock Rattle’ – Mississippi Queen really flex their creative prowess with ‘Oh Yeah!’ due to composing no less than thirteen original tracks. Such a feat has seen the album gain much attention in terms of the rockin’ scene with ‘Bop Train’, ‘Old Black Busted Guitar’ and ‘Everybody Have A Ball’ in particular earning extra plaudits. In fact, it was the album’s title track that set such a precedent having previously been included on several compilations before its official release some time later, which saw the song ‘Oh Yeah’ turn into a massive club hit and therefore raise fans’ awareness to the new long player. However, despite the awareness raised by the title track, ‘Oh Yeah’. and the positive responses from the general public prior to the official album release and subsequent favourable reviews overall, the whole album process was not an easy task to complete due to various factors threatening to derail Mississippi Queen’s latest recording. The health problems Karlo Starčević mentions were of a serious nature and threatened to severely disrupt the working progress of Mississippi Queen’s album. What emerged leading up to the recording of ‘Oh Yeah!’ was that Karlo Starčević picked up a rare disorder known as Guillain-Barre syndrome in which the immune system attacks healthy nerve cells of the peripheral nervous system. This leads to weakness, numbness, and tingling, and can eventually cause paralysis. With the album ‘Oh Yeah!’ having been recorded in Zagreb on vintage equipment at a small studio by the name of Reel Deal, it was the second album in the band’s career that wasn’t recorded live; with Karlo Starčević mentioning to FLW during our discussion the first one being ‘Golden Years’ having been recorded in the same way. Now that the album ‘Oh Yeah!’ has had time to settle after a few months since its official release, are there any songs that have emerged as favourites for Mississippi Queen? It just so happens that FLW has done its homework and picked out a few of the songs possibly referred to here as the “stressful period” in your life regarding a previous relationship i.e. ‘Same Ol’ Fool’, ‘Brand New Fool’ and ‘Precious Memories’ to name but a select few. As a band, where do you see your music in terms of the whole rockabilly scene? “Tough question! I think we are where we ought to be. If we deserve better, it will happen. If not, then we are in the right place,” Karlo Starčević replies honestly. Do you think that your music appeals to fans of other genres of music or is it mainly rockabillies who buy your music and attend your live shows? 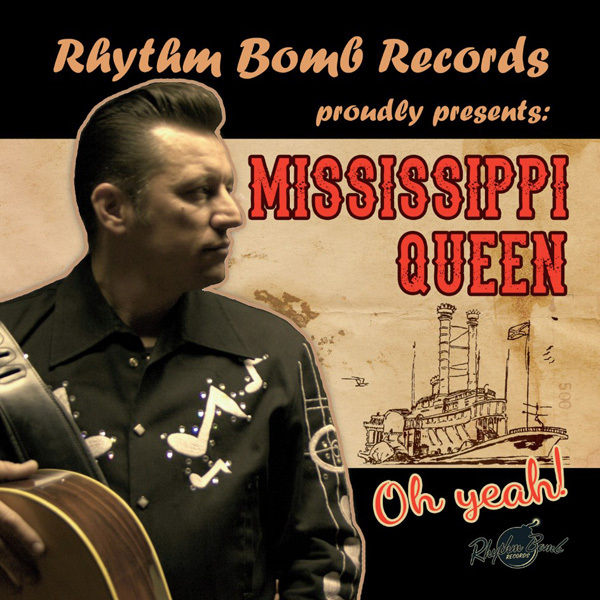 So far, so good for Mississippi Queen in 2016 as current album ‘Oh Yeah!’ continues to be showered in positive reviews and, as a result, seen the band go from strength to strength, in addition to attracting new followers to their authentic rockabilly sound despite earlier comments suggesting otherwise. With promotional duties of ‘Oh Yeah!’ still on the agenda for Mississippi Queen, there are plans in the pipeline to “…come out with a single record next year, but that’s just a plan for now. Who knows what’s coming ’round the corner.” One thing for certain, however, is that Mississippi Queen has produced an album of great quality, with skilful musicianship and sharp song writing that is an honest interpretation of the personal issues experienced by one of Croatia’s finest rockabilly artists. It looks like everyone is having a ball when it comes to Mississippi Queen and those who are keen admirers of their rockin’ tunes…OH YEAH! 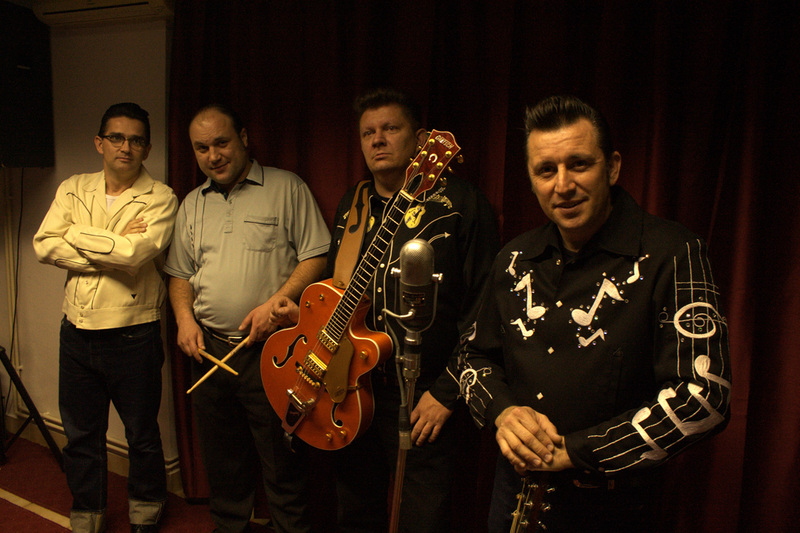 To straighten it out, we're the oldest authentic rockabilly band in Croatia." With Croatia holding a strong connection with the genre of rockabilly that continues to this very day, it just so happens that one of the bands to still be a part of this scene – Mississippi Queen – also remain one of its strongest. However, to address the balance a little here, Famous Last Words (FLW) provides a brief summary of a few other rockabilly bands to hail from the eastside of Europe who are worth further investigation. B and the Bops – Despite their second long player, ‘All Tangled Up’, being a somewhat muddled affair, B and the Bops is a talented four piece who truly know how to rock on the wild side of life. Check out such tracks as ‘Don’t Stop The Rock Bop’, ‘Forget About You’, ‘Rock You Baby’, ‘Crazy Over You’ and ‘Slam The Door’ to get a piece of the action! The Mad Men – It’s all in a name really. Having been labelled “The wildest rockabilly band in the world”, Croatian rockabilly band, The Mad Men certainly has a lot to live up to! But once hearing such tracks as ‘Long About Midnight’ and ‘Rhythm and Sin’ the hype is definitely understandable. 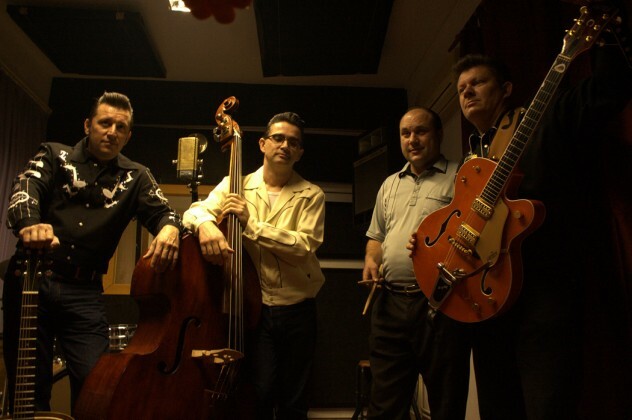 Adam & his Nuclear Rockets – Just like the band featured in this interview, Adam & his Nuclear Rockets know all about an authentic sound when it comes to rockabilly. Listen to the album ‘Little Piece of Souvenir’ that is full of rockin’ tunes and superb vocals complete with hiccups to understand the fervour for this band.